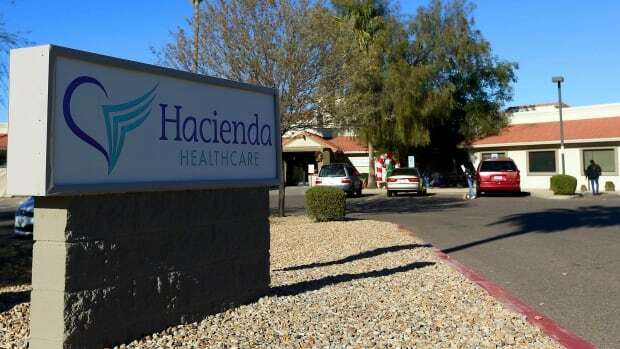 A licensed practical nurse has been arrested on a charge of sexual assault in the impregnation of an incapacitated woman who gave birth last month at a facility for long-term health care, Phoenix police say. Police Chief Jeri Williams said Wednesday that investigators arrested 36-year-old Nathan Sutherland on one count of sexual assault and one count of vulnerable adult abuse. Williams said Sutherland worked at the Hacienda HealthCare facility where the woman lived and he had been providing care to her. Earlier reports had indicated the 29-year-old woman was in a coma. Her family, in a statement Tuesday through their lawyer, said that was not the case. "She has significant intellectual disabilities as a result of seizures very early in her childhood," the statement said. "She does not speak but has some ability to move her limbs, head and neck. Their daughter responds to sound and is able to make facial gestures. The important thing is that she is a beloved daughter, albeit with significant intellectual disabilities." The woman has been incapacitated since she was three years old and gave birth to a boy at the facility on Dec. 29. Police said Tuesday that DNA testing of the baby helped lead to a court order being obtained to collect Sutherland's DNA.